Providing personalized consultation and troubleshooting in your home, and bringing clear solutions. We have helped hundreds of new parents and their babies, and can help you find a solution for the specific challenges you are experiencing with your infant. 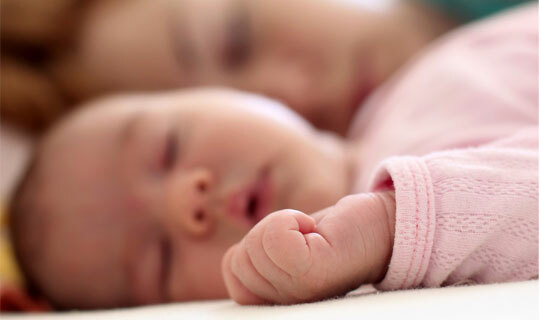 Debby and her team of newborn care specialists also offer personalized in-home consultation & troubleshooting visits, providing you with consulting time to meet the specific needs of your newborn and your family. Additionally, we offer you the service of telephone consultations, extending to those unable to take advantage of our in-home visits, many of the same benefits. Our advice and solutions are always given to you in a 'gentle' manner, and we continue to work with you until the problem is resolved. Many of the difficulties with newborns are solved through a process of elimination, and not always resolved on the first try. We will share with you our process of elimination secrets we have used successfully over the years, giving you useful tips to feel confident in your ability to problem solve. Are you needing an experienced and knowledgeable resource person to walk you through difficulties you may be encountering with your newborn? Are you disconcerted by all the contradictory information and advice you have received, concerned that it is not working well for you, now that you are home alone with baby? Do you feel uncertain as to how to effectively schedule feeding and sleeping routines for your little one? Do you need tips and assistance for successful breastfeeding? Have you felt the need to make some changes in the way you are caring for your newborn, but are unsure just what needs to be changed? Suggestions for getting the nursery and home ready for the new addition to your family. Some general lists of baby and nursery supplies you will be needing, and suggestions of some practical resources to aid you in the care of your baby. Helping to prepare you for the hospital experience, including important tips to make the hospital visit go more smoothly for you and your newborn. Assistance with your transition from hospital to home, with those first few days of adjustment. You can also benefit from many of the same services offered via the visits through our telephone consultations. Providing in-home troubleshooting of challenges or difficulties you and your baby may be encountering. Developing the hands-on skills you need to care for all of the daily, practical needs of your newborn. Answering your questions of how to establish realistic feeding and sleeping schedules for your baby. Assisting you with breastfeeding concerns, and providing you with tips on latching and positioning so you can successfully breastfeed. Assisting you with suggestions on bottle-feeding, formulas, the use of breast pumps, etc., if you decide to bottle/formula feed, or need to supplement your breastfed baby. Monitoring weight gain of your baby and providing you with daily logs to monitor baby's progress, all of which are important in watching the healthy development of your newborn. Overcoming any sense of inadequacy which can easily come from unrealistic expectations or fears during those early weeks and months after baby arrives. Offering suggestions on how to handle family tensions that arise, caused by the changes your newborn brings into your lives. You pick the amount fo time you need us. The flexibility of this service enables you to schedule these visits or calls when you really need them, and for as many times as you feel is necessary. Reserve your Consultation Time Here. Contact us by clicking here or at (972) 267-8766 with your information, various appointment options, the length of time you anticipate needing for your consultation and various call times, and we will call you to make arrangements. Fee is due at the conclusion of the visit. Other rates apply for any visits made outside the Dallas area. For additional information regarding this service, see our Terms & Conditions.